While the tension between life and death has existed since the Garden of Eden, the Church needs to be equipped to honor life from conception to natural death. Life Summit 2019 promises to be an encouraging and challenging time of learning how the Church can define and defend the sacredness of life. Speakers, workshops, testimonies, and networking opportunities will together enrich our understanding of the sacredness of life—what it is and how we can live out the calling to protect it. For more details on the Thursday schedule, click here. 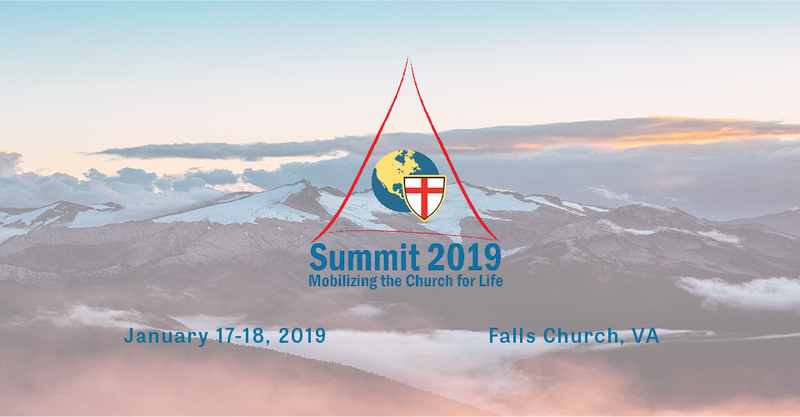 Following the worship service, attendees will board buses (NOTE: Bus Tickets are SOLD OUT) for the March for Life in Washington, D.C.
For more information on the Summit click here or contact Anglicans for Life at info@anglicansforlife.org or call 412-749-0455.